Mortgage rates in Zionsville, IN are up this week and possibly may rise higher. The current 30 year mortgage is hovering just under 4 at 3.95%. With the continual uptick many would-be buyers are concerned that their chances at owning a slice of the American dream have gone out the window. Comparatively, those who were in the process of refinancing their mortgages are now wondering if it’s worth the time or trouble to follow through. So, what is a Zionsville, IN homebuyer to do in this type of situation? There are a few options to explore that I would like to advise buyers to look into before pulling the plug on their Zionsville, IN home search. If you would like to lower your interest rate for a set period of time, you could opt for a 10 or 5-year ARM to keep the payments down. Just keep in mind that in 10 years that rate may go up quite a bit as it’s hard to predict the market in 5-10 years. 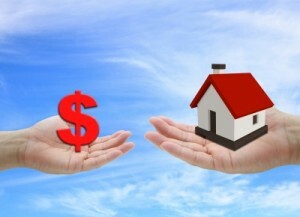 Not all lenders offer a float-down option, but it’s worth inquiring about. With a float-down, the borrower has a right to have his or her mortgage rate reduced if rates happen to fall. This option can be attached to any type of loan, and the terms are at the discretion of each individual lender. As always, Zionsville, IN homebuyers have the option to wait it out for a week or so and see where mortgage rates go from here. There’s a chance they may drop slightly, but there’s no guarantee. If they appear to hold steady, it might be a good idea to lock in now rather than risk falling victim to another increase down the road. If you are planning to buy a home in Zionsville, IN, contact an experienced Zionsville, IN real estate agent. We’d be happy to go over all of your options with you and recommend a lender or two. Despite the higher rates, the important thing to remember is that mortgage rates are still quite low by historical standards. We look forward to assisting you in your journey!